When it comes to mail room security, it’s a cat and mouse game. There is no perfect one-size-fits-all solution. Whether it’s suspicious powder, or letter bombs, the goal in mail room security is to be as diligent as possible. Mail rooms are still the weakest link in physical security. This week we’ve seen more examples of threats around the globe. In the U.K., Members of Parliament received a package on Wednesday, October 10th that contained an unknown white powder substance. As a result, three employees who opened the package experienced itchiness in their eyes. Police and medical personnel responded, including The Hazardous Area Response Team. The employees were treated at the scene but no one was taken to the hospital. Also in the U.K., BBC reported updates on the trial for an alleged Neo-Nazi couple whose home police raided, discovering a cache of weaponry and Nazi propaganda. While the illegal contraband is concerning, what makes this case relevant to us is that police discovered a digital copy of “The Anarchist Cookbook”. This book includes instructions on how to make homemade explosives and most importantly: Letter Bombs. Anyone with an internet connection can get their hands on instructions for creating havoc through the mail. 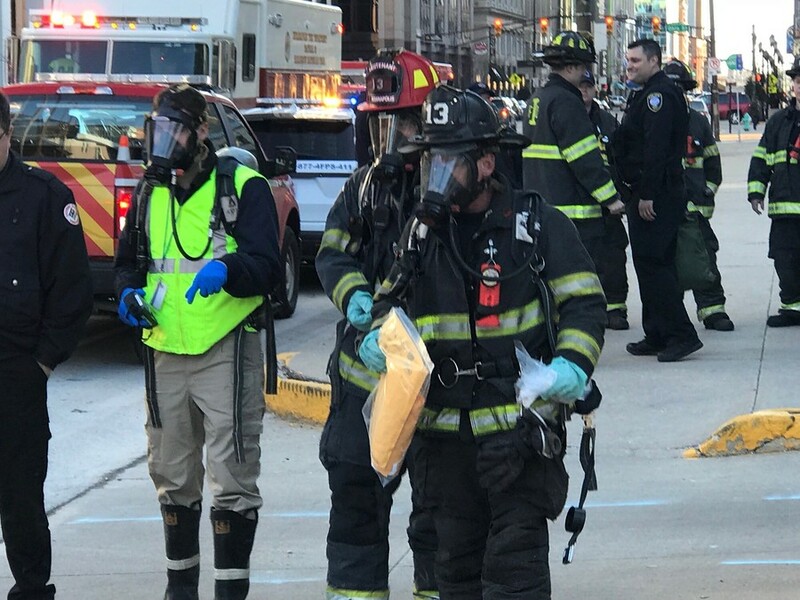 Lastly, a Chicago courthouse called the Dirksen Federal Building received suspicious mail containing an unknown substance. Authorities determined the substance was not hazardous after an investigation. Luckily this was a case where no harmful substance was found. It shows that the mail screening facilities at this courthouse are working well. Each of these stories has a happy ending. They also show how easy it is to create havoc through the mail. Terrorism isn’t just about causing physical damage, its about causing psychological damage through fear. At the very least, even a suspicious letter with an inert substance in it can cause a massive shutdown if the letter makes it through the screening process. At RaySecur, we urge you to keep your mail screening practices up to date. Always stay diligent!